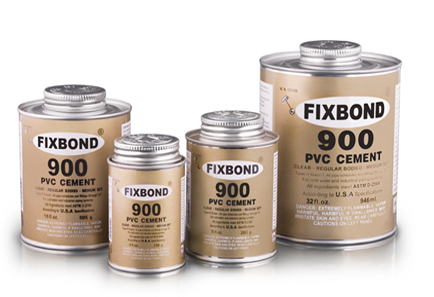 FIXBOND is aci‘s most popular brand for PVC and CPVC (orange) solvent cements that comes in different formulations for users who require fast or slow setting time, and also for users who require heavy and medium bodied cements. FIXBONDTM is the most diverse brand and has gained the trust and respect of users in all foreign and local markets. 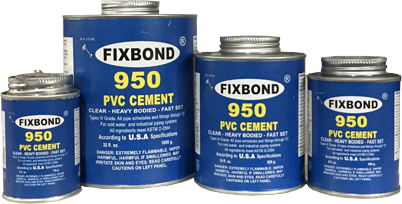 Typically, the FIXBONDTM family meets and exceeds the American standards ASTM D-2564 for clear solvent cement and ASTM D-2846 for CPVC solvent cements. Regular bodied, fast setting, PVC solvent cement (Clear) for welding PVC pipe schedules and fittings used in cold water and industrial piping systems. Excellent for bonding thermoplastic pressure piping systems made of rigid PVC (potable water), suitable for low pressure pipe systems (waste water), and for assembly and repair work (e.g. drain-pipes). 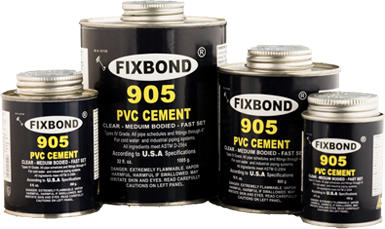 FIXBOND 900 meets American Standards ASTM D-2564. Heavy bodied, medium setting, PVC solvent cement (Grey) for welding PVC and UPVC pipe schedules and fittings used for potable water, and sewer, drain& waste systems, in addition to vent systems. Quality formulation for plumbing, industrial, pool, irrigation and electrical piping systems, where water needs to be pressured; thus, its strength is guaranteed. FIXBOND 917 meets ASTM D- 2564. Heavy bodied, fast setting, high strength, PVC solvent cement (Clear). It is suitable for use on rigid PVC providing a higher performance. Premium formulation for irrigation, DWV, pool & spa, plumbing and non-pressure application. Offers wide variety of specifications for different user requirements. 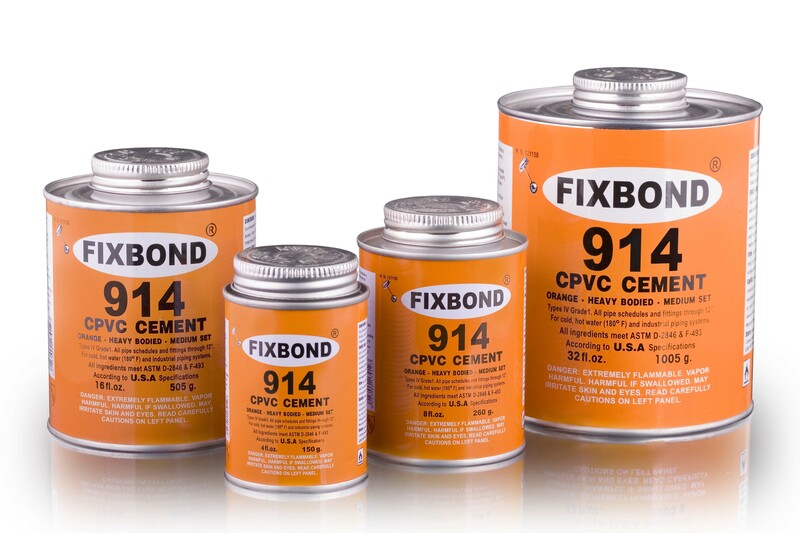 Heavy bodied, medium setting, CPVC cement (Orange) for welding PVC and CPVC pipe schedules and fittings used in cold and hot water (180°F) and industrial piping systems, with interference fit through 12″ (315 mm) diameter. 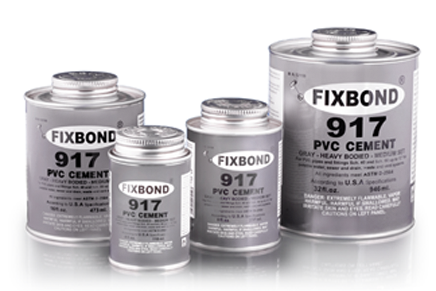 FIXBOND 914 gives the highest performance, and meets ASTM D-2846 & F-493. Faster drying, fast setting “Clear” PVC solvent cement for welding PVC pipe schedules and fittings used in cold water and industrial piping systems. Easy and fast bonding, easy and clean handling, and of a higher security due to excellent gap-bridging capability (low flow value).